Warning: Update your phone at your own risk. 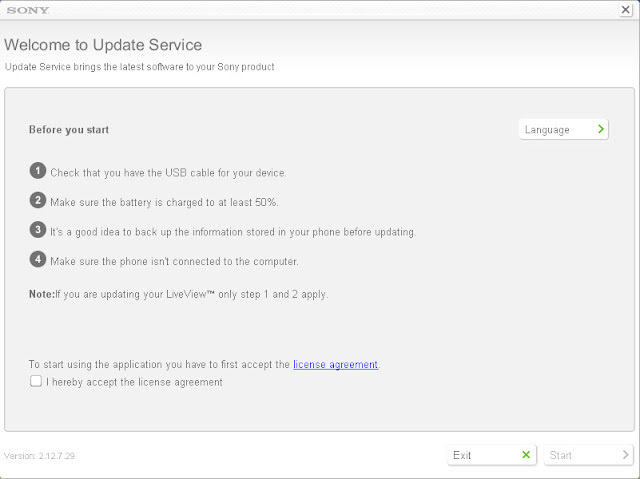 Just follow the 4 reminders above, accept the license agreement, then click "Start"
Upon turning on, you will notice that only "SONY" will appear on the start-up screen, no longer "SONY ERICSSON". 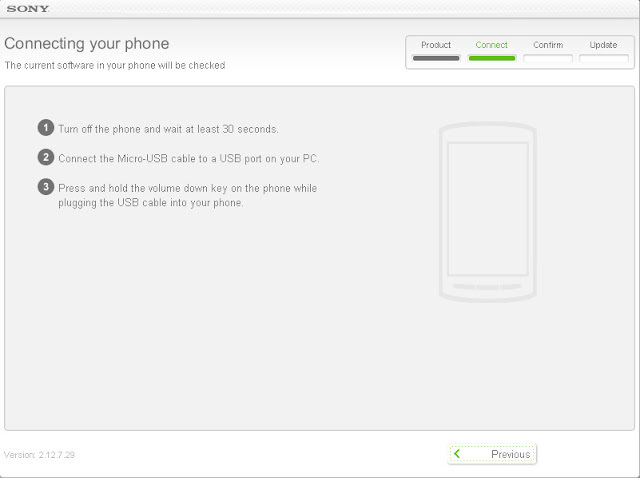 Then followed by "XPERIA". 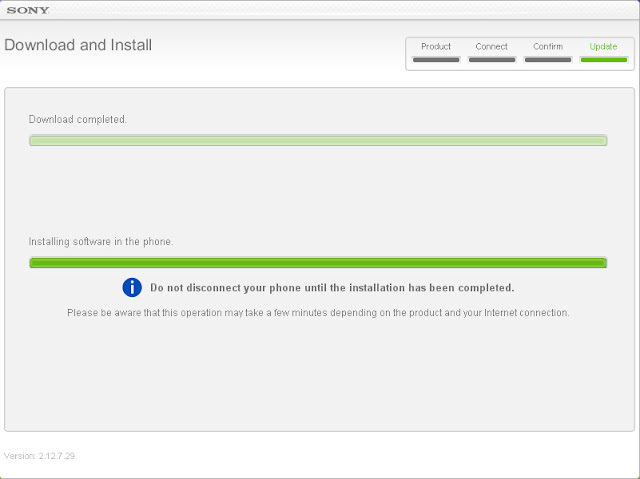 It took about 2 hours to finish the downloading and installation of Android 4.0 ICS on my Xperia Mini (this may vary, it depends on the speed of your internet connection). 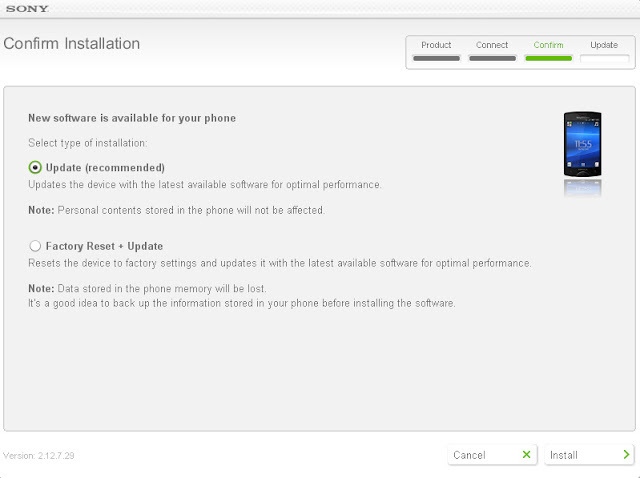 At first, I was quite skeptical to do this update and considered to wait first and update some time later. But just two days after this update was made available (see my post regarding it here), I just found myself upgrading my phone. When my curiosity strikes, it really can't wait. Lol! 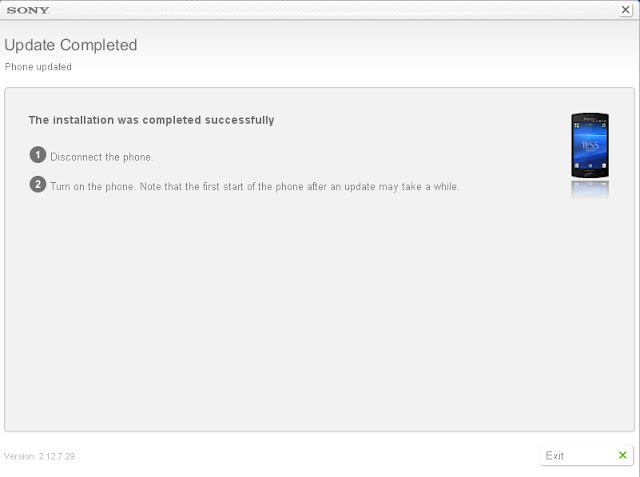 So I just updated my Xperia Mini at my own risk. So far, Android 4.0 Ice Cream Sandwich is running smoothly on my phone. Thank God! No major problems encountered yet. The issues that been fixed before this update (the overheating problem and capacitive button malfunction) did not returned after the update. My full observations and reviews on its new features will be posted soon. This update makes me want to buy this phone.. 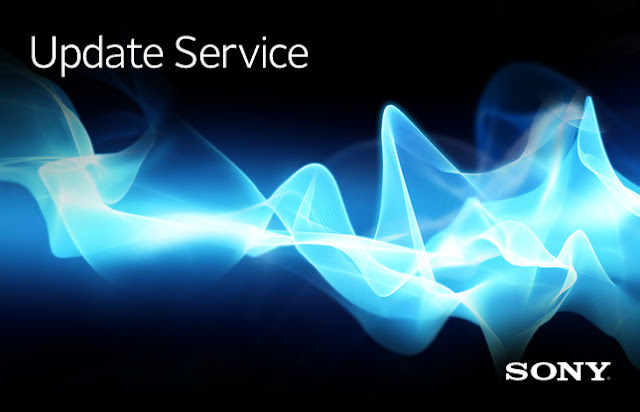 Does the xperia mini still have the overheat issue? The Xperia Mini unit that I have bought online (from grey market, unit without NTC seal) has overheating problem and capacitive button malfunction but I was able to fix it. Good thing, said issues did not returned after this update. My brother bought his unit in a local store here (has NTC seal), and the phone doesn't have said overheating issues. interesting,.. thanx 4 replying. i live in south america so i think i'm gonna buy it at amazon, the international version with no warranty, st21i. the rating there is low though. 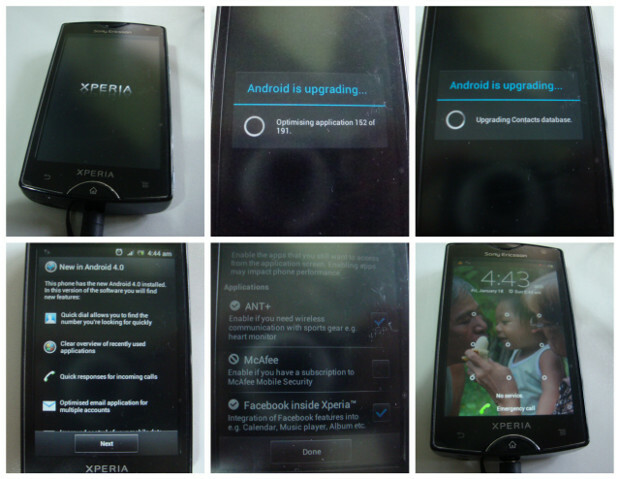 Are you facing any problem after upgrading phone to ICS through Sony companion?Actually I want to upgrade my Xperia mini ST15i to ICS. Please suggest me should I go for it or not?